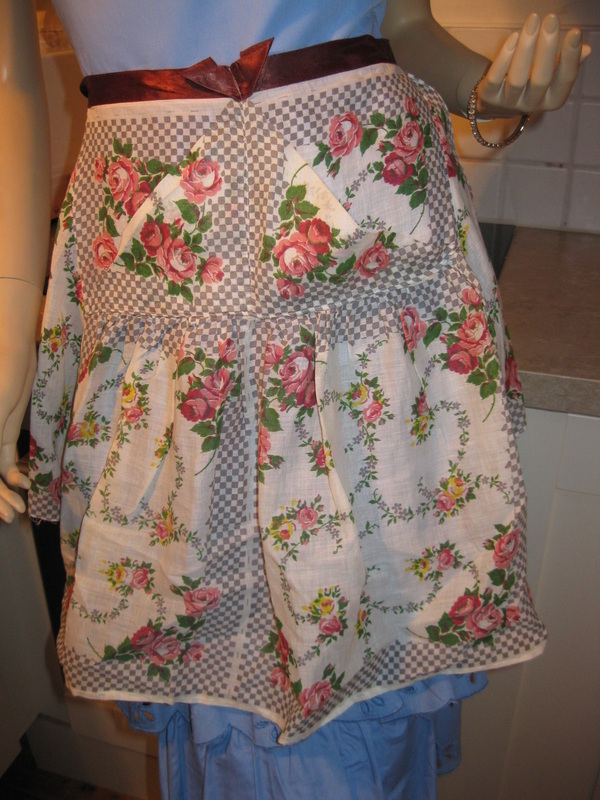 A vintage apron has a certain style! 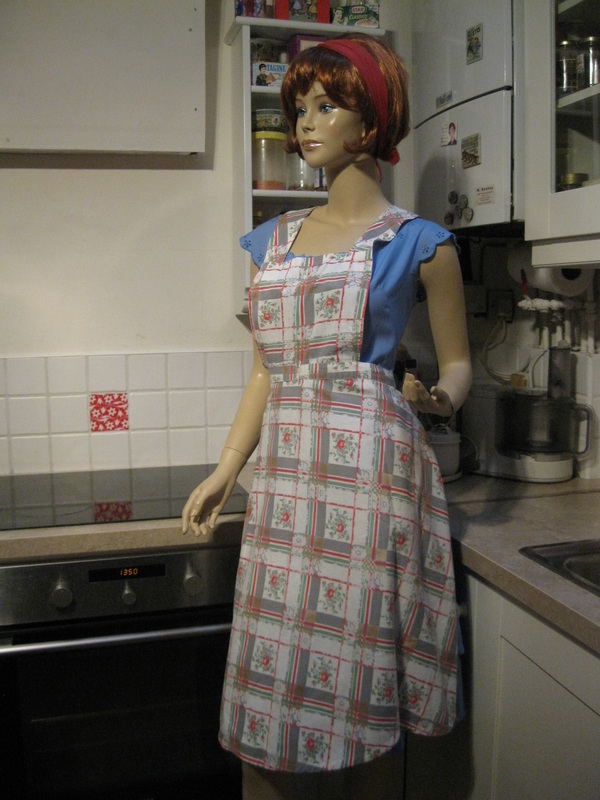 They come in all shapes and sizes from the functional to the frivolous. 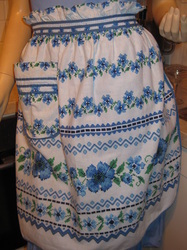 The fabrics are unique and the patterns are often complex with shaped pockets, and special trims. 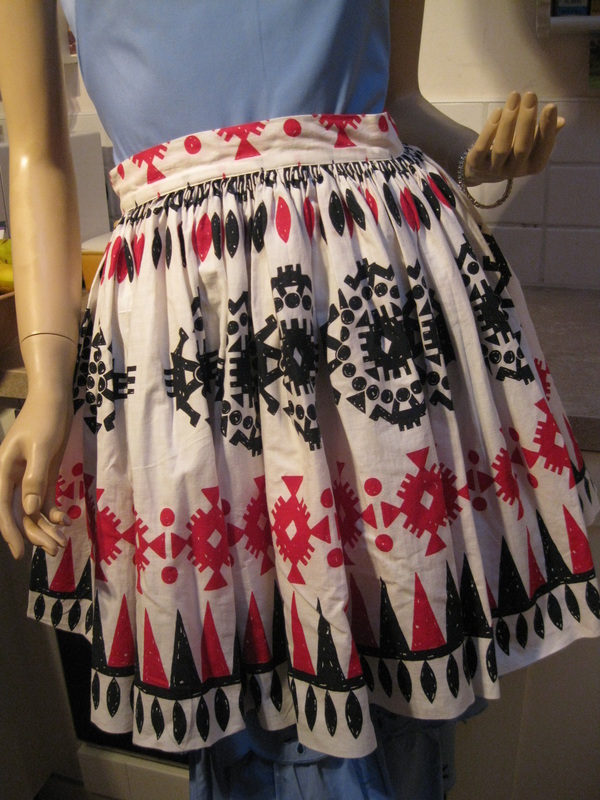 Many of them were homemade from leftover fabrics so are truly unique. 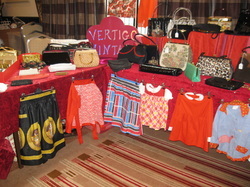 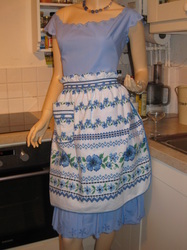 At Vertigo we love embracing our inner 1950's Domestic Goddess! 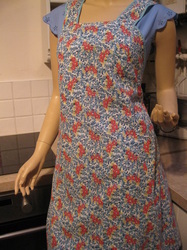 Most of our aprons date from the 1950's and 60's and come from small town USA. 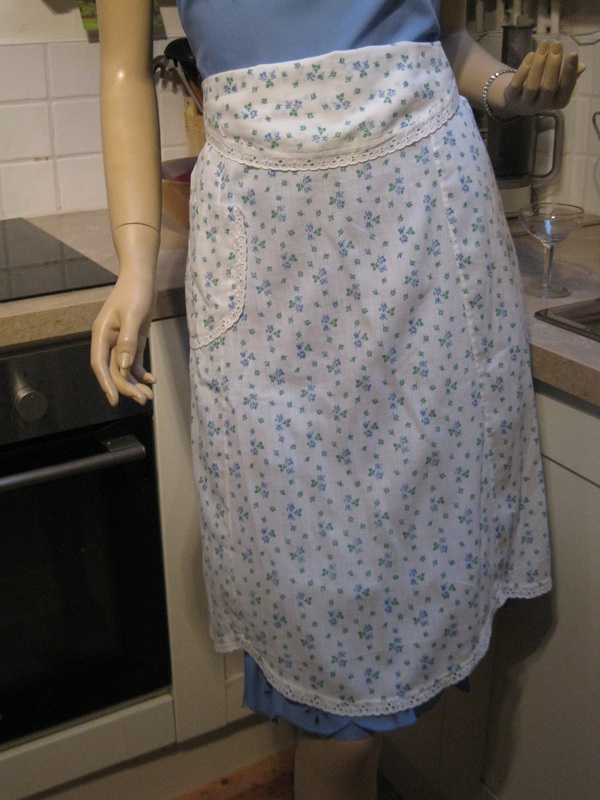 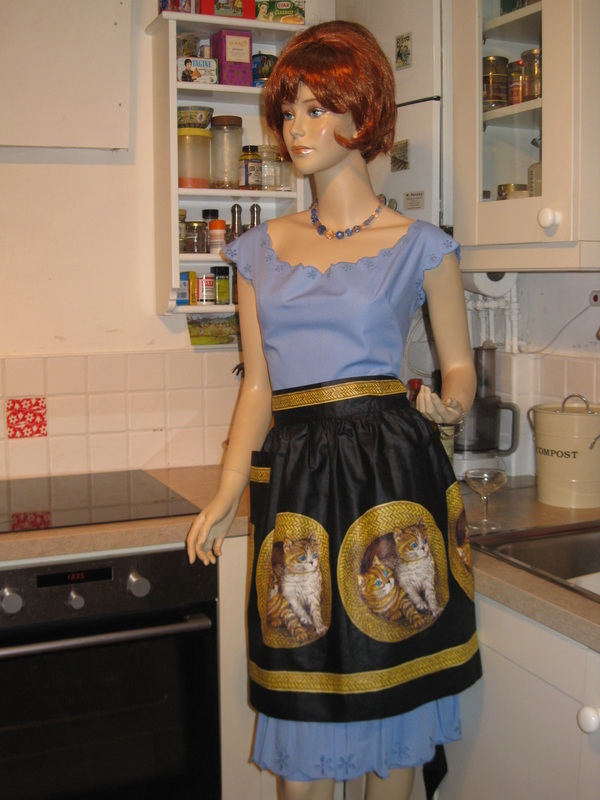 Vintage aprons make great girlie gifts, perfect for all kinds of occasions - a birthday gift to an aspiring cook or a tongue in cheek present to a bride to be! We like to wear ours when entertaining at home to channel our inner Betty Draper! 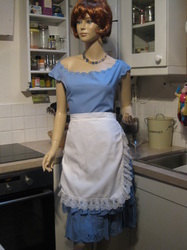 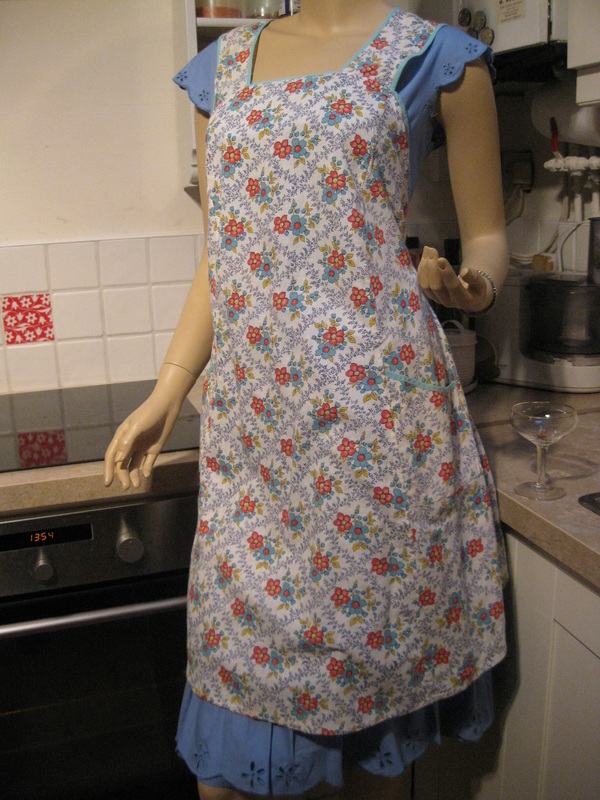 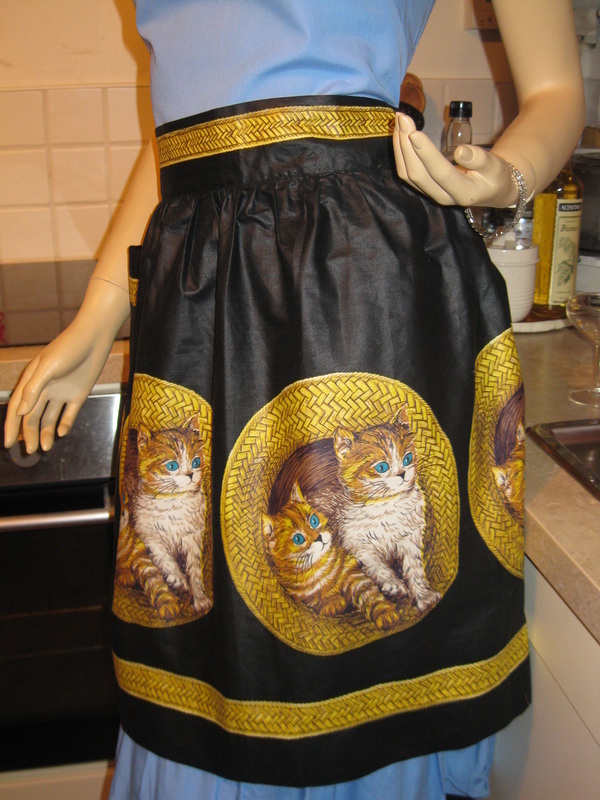 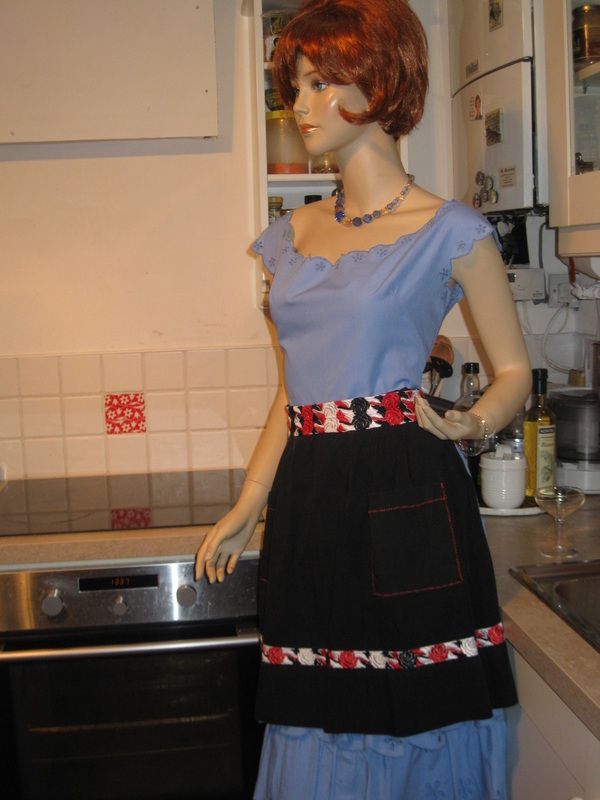 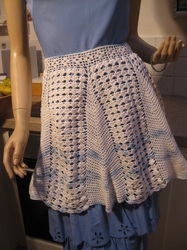 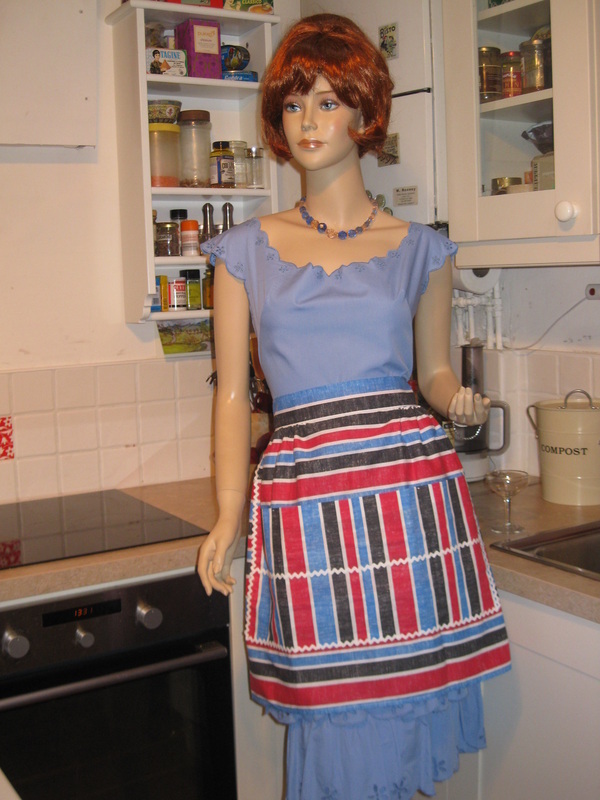 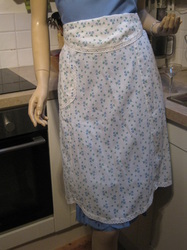 If you already like wearing vintage clothes you will LOVE wearing a vintage apron. 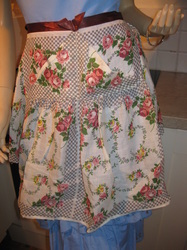 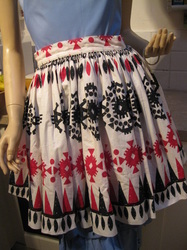 And if you're just dipping you toe into vintage waters a vintage apron is a great way to start! 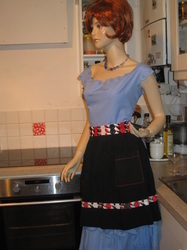 Miriam one of our favourite customers who never misses a Vintage Fair models her fab 1950's apron! The principal use of Grandma's apron was to protect the dress underneath because she only had a few. 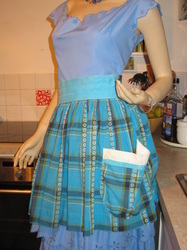 It was easier to wash aprons than dresses and aprons used less material. 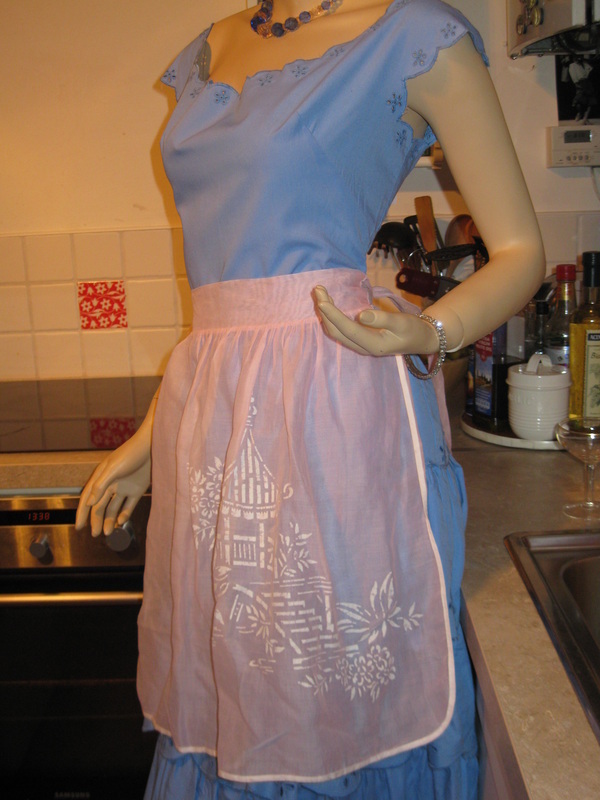 But along with that, it served as a potholder for removing hot pans from the oven. 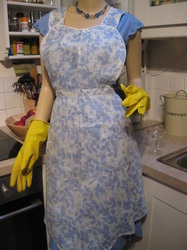 It was wonderful for drying children's tears, and on occasion was even used for cleaning out dirty ears. 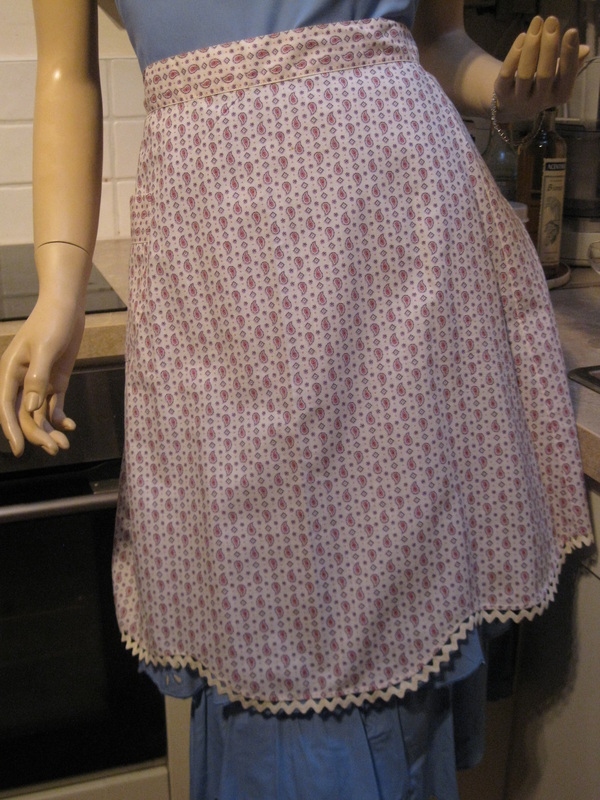 From the chicken coop, the apron was used for carrying eggs, fussy chicks, and sometimes half-hatched eggs to be finished in the warming oven. When company came, those aprons were ideal hiding places for shy kids. And when the weather was cold grandma wrapped it around her arms. 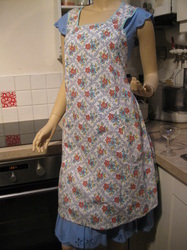 Those big old aprons wiped many a perspiring brow, bent over the hot wood stove. 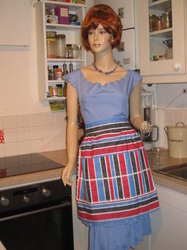 Chips and kindling wood were brought into the kitchen in that apron. From the garden, it carried all sorts of vegetables. 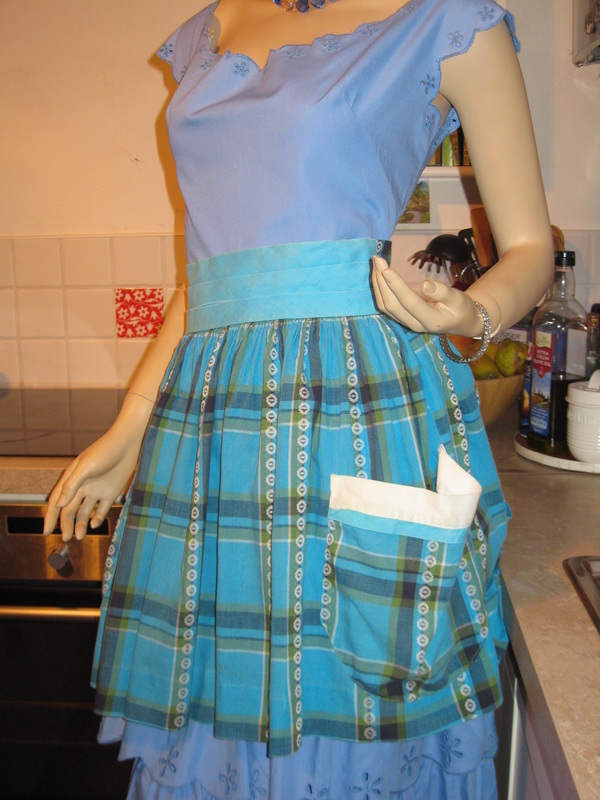 After the peas had been shelled, it carried out the hulls. 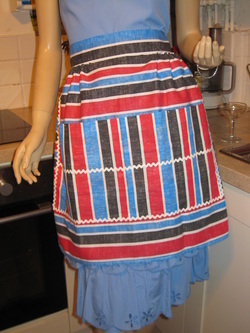 In the fall, the apron was used to bring in apples that had fallen from the trees. 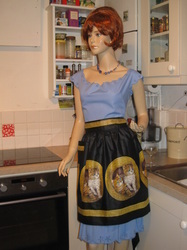 When unexpected company drove up the road, it was surprising how much furniture that old apron could dust in a matter of seconds. 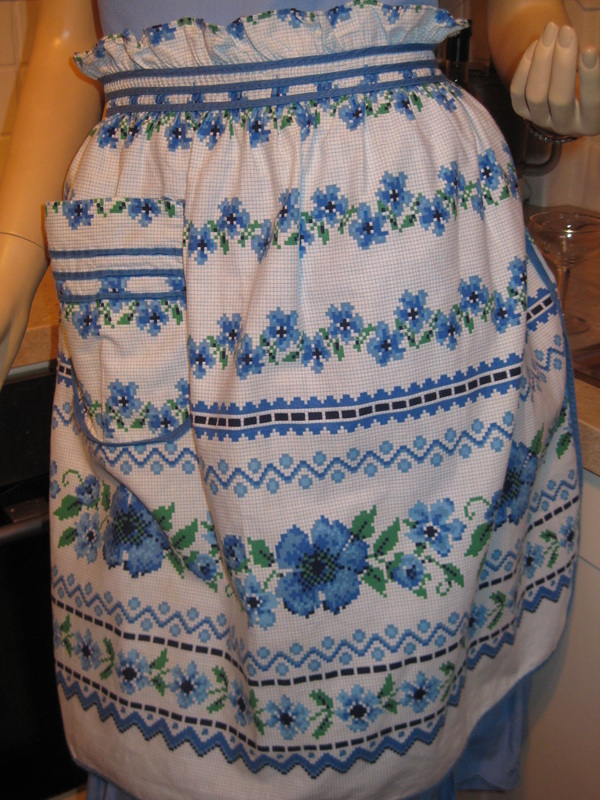 When dinner was ready, Grandma walked out onto the porch, waved her apron, and the men folks knew it was time to come in from the fields to dinner. 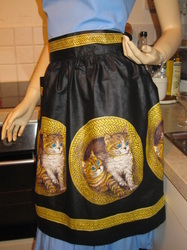 It will be a long time before someone invents something that will replace that 'old-time apron' that served so many purposes.